Not to feel left out from all the action going on in Alaska, Kilauea in Hawai’i has a new lava flow issuing from the Thankgiving Eve Breakout (TEB) vent area. It sounds like a fairly small flow and none of the flows have reached the ocean. 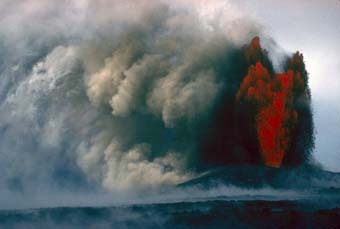 The TEB was the November 21, 2007 event where activity migrated away from the Pu’u O’o area to a new vent to the east. Kilauea is busy keeping geologists and tourists alike wondering what the volcano will be doing next. The current report on the volcano tells of a new fire fountain at the Thanksgiving Eve Break-out “rootless cone”, about 6 miles from the ocean. The fire fountain started on Sunday night, issuing lava up to 40 feet in the air and the USGS has posted an amazing video of the fountaining on the HVO website. However, unlike the predicted behavior where magma at Kilauea starts near the summit and moves into the rifts, these lavas appear to be unrelated to the activity going on at the summit of Kilauea. 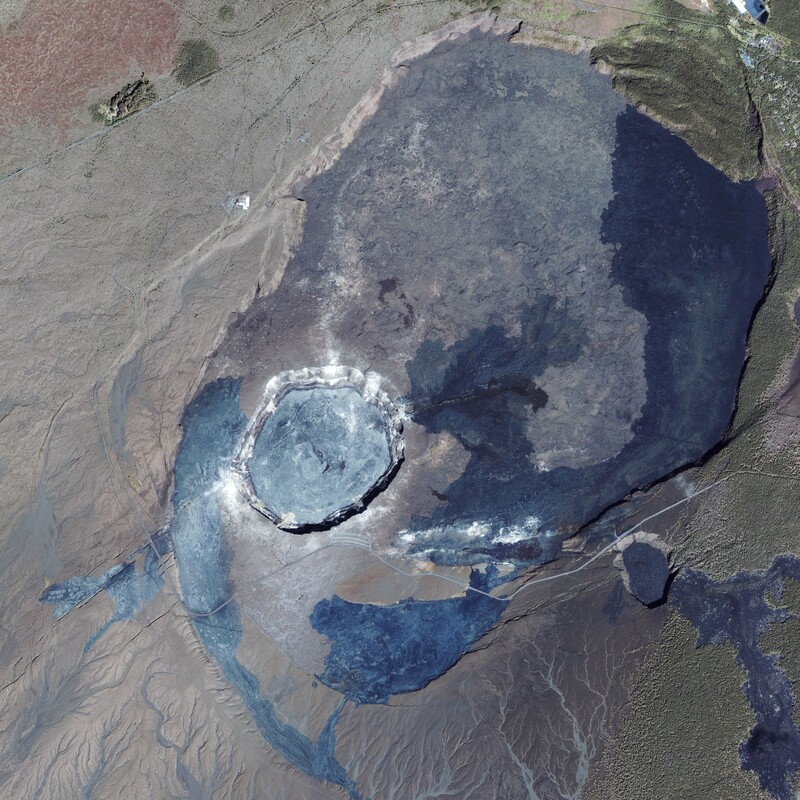 This could mean that we have less of a grasp on the internal plumbing of this giants shield volcano than we previously thought … and it is always exciting when nature decides to prove us wrong! This heightened state of eruption at Kilauea during the past week has also doubled the levels of sulfur dioxide being emitted from the volcano, which, of course, leads to more of the dreaded vog. Most of it has blown out to sea, but as winds change, so might that. Edited 7/8/08 to fix location of the eruption (thanks to Mariek Schmidt for the clarification). There are some nice videos of the current eruption of Kilauea (after some tedious commercials via the link at the top of the article) with lava spattering and lava reaching the sea on the 4th of July. Not much description of the eruption in the article, but it sounds like it is just the Hawai’ian volcano doing what it does best (and possible ramping up for more). Not much in the way of science to add here, but photographers at Hawai’i Volcanoes National Park are still busy around the clock documenting the summit vent activity at Kilauea that started in March. Most of the activity is steam escaping from the vent, but at night, the vent glows red, proving just how close to the surface the magma is right now. Occasionally, the volcano throws out some volcanic clasts, probably in phreatomagmatic (water/magma interaction) explosions. The USGS Hawaii Volcano Observatory has a nice series of photos of the current activity and research as well, mostly about some of the lava that is making its way to the sea (see photo above) from the rift vents that are continuing to erupt.